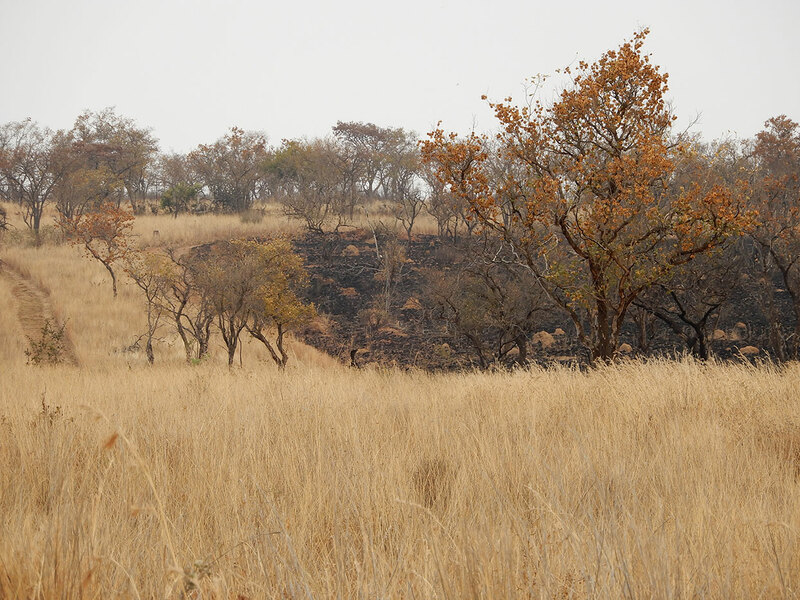 On 5th September a fire broke out in the Dinokeng Game Reserve and within a few hours it had changed direction and began moving towards the Kevin Richardson Wildlife Sanctuary. The staff and volunteers looked on with horror as the sky lit up with furious flames. With Kevin traveling abroad he anxiously awaited updates from his team and was relieved and proud to hear that his team had handled the crisis superbly. Tragically a neighbor was badly burnt by the fire and succumbed to his injuries. Our condolences and thoughts are with his family. Foundation Director Caroline Edmonds was on site at the time and along with camp Manager Edward de Kock, they recall the drama of this day. Caroline: “I recently spent a month at the sanctuary working with staff and volunteers. I love catching up with my friends, both human and furry. On the day of the fire I was at the Trading Post where the volunteers are housed. It was my second experience of a bushfire but it is always an unsettling experience. One obviously thinks of the animals caught up in it and hopes fervently that none are hurt or lose their homes. 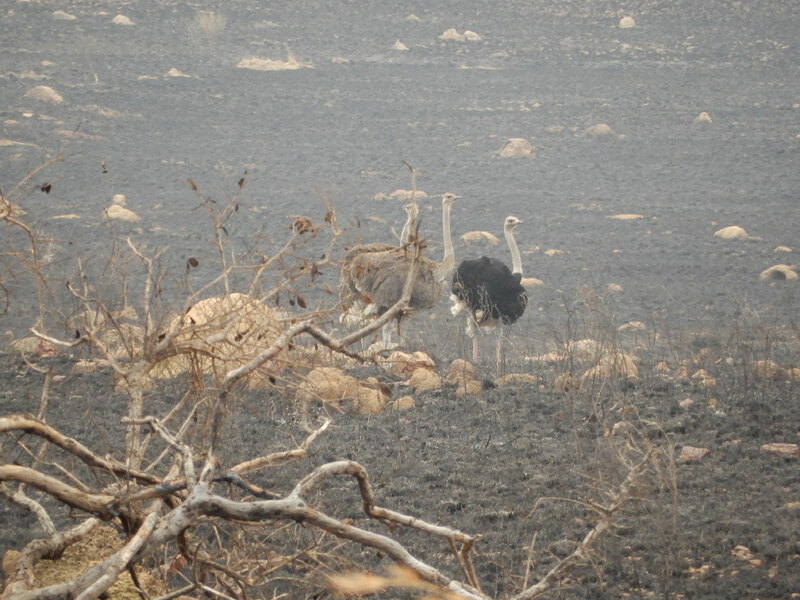 Some ostriches looking for their destroyed nests on the day after the fire. As you will see from Edward’s account below, by the time evening came the second fire had turned and was heading in our direction. 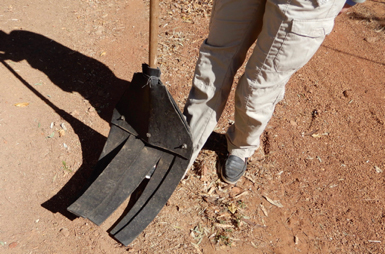 The Kevin Richardson Wildlife Sanctuary staff Edward de Kock, Taheer Changa Jardine, Felix Dacca, Jim Maluleka and Katlego Mpha joined the Dinokeng team and stopped it before it reached us. As Edward explains they did a “back burn” and then walked along the line of the fire beating it out. Although the “fire beater” may look rather unsophisticated, it proved to be an effective tool in stamping out the fire once it was had come to a halt. Edward: “The initial fire started earlier in the day and with the wind it picked up and it quickly spread. Alongside the Dinokeng staff and other neighbours we managed to stop the initial fire that was spreading on the south fence, however around 8pm we realized it had turned and was heading towards the sanctuary. We decided to start a back burn which is a controlled secondary fire that burns towards the first one and essentially kill each other due to lack of fuel to burn. This method worked! The area up to where the fire was stopped by the back burn. 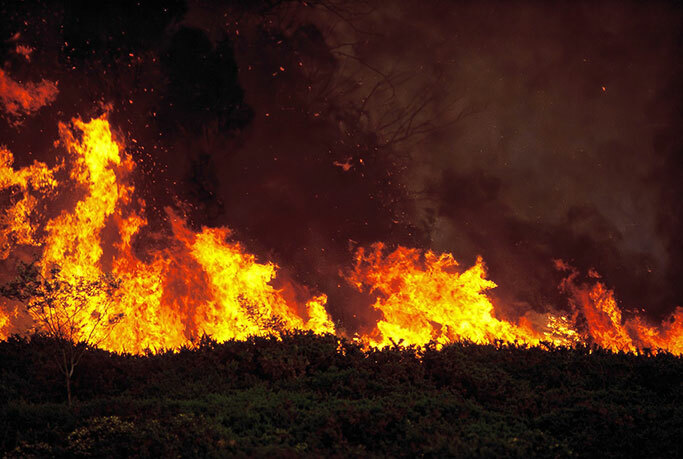 Fire in this area of South Africa is not uncommon and not necessarily unnatural. The landscape is sour veld and savanna so should burn on a 5-year basis as build-up of dead grass can affect the savannah growth, alien plant growth and control of pests like ticks.